With more than 40 years of experience in whistleblower and qui tam claims, our team at Cross Law Firm, S.C., in Chicago, Illinois, serves clients throughout the entire state of Wisconsin as well. 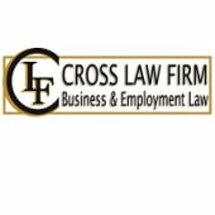 We have seen how improperly structured employment contracts and poor policies result in the demise of a business or relationship. By offering sound counsel and proactive representation, we routinely reach efficient and lasting solutions for our clients. The clients we work with include blue-collar workers, CEOs, federal and state employees, truckers, health care administrators and police officers. A key part of the service we provide to our clients is that we take a proactive approach. We make it a priority to keep issues from popping up, both in the immediate future and in the long term. By being thorough and relying on our extensive knowledge of the law, we regularly accomplish this on behalf of our clients. The Chicago location of the Cross Law Firm, S.C., is by appointment only.